Meleanna Aluli Meyer, artist, educator, and filmmaker, holds an M. A. in Education (University of Hawai’i Manoa) and B.A. in Design & Photography (Stanford University). Mikilani Hayes Maeshiro, classroom and resource teacher working as an Education Design Specialist at Kamehameha Schools, holds an M. A. in Education (University of Hawai’i Manoa). Anna Yoshie Sumida, who teaches at Kamehameha Schools, holds a doctorate in Education (University of Hawai’i Manoa) and has taught Hawaiian children for 25 years. This book introduces a theoretically motivated and classroom tested, culturally responsive approach to the education of children that teaches them how to see and describe their world – both the natural world around them and their own culture and identity – through linking the media of art and language, considered as parallel creative-expressive processes of arting (representation in visual images) and writing (representation in words). 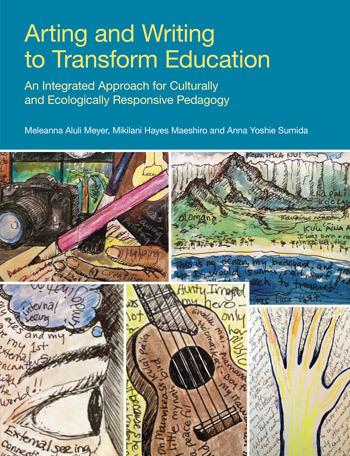 Developed in a collaboration by three Hawaii educators, the curriculum integrates knowledge and practices in literacy and culture, art and science, with a goal of creating a transformative educational experience for every child, building from the students’ home language and culture. Starting from their own personal stories of what it is like growing up outside the cultural mainstream, in Part I the authors present the conceptual background to the work suggesting how the learning of bodies of knowledge and practical skills in school can be raised to a higher level of exploration and personalized learning that leads to a situated and empowered sense of self. Part II shows how arting and writing processes can work together and be mutually reinforcing to produce highly engaged learning, as demonstrated in the authors’ own elementary and middle school classes. Part III provides two extensive multi-lesson units, complete with objectives, lesson plans, and printable exercise sheets given in appendices. Hawaiian ecology and stories about the land offer illustrations of how teachers can integrate learning in students’ home language and culture with mainstream English language and culture. Further lesson material demonstrates how students can explore their own cultural identity as connected to family and place through arting and writing activities. Arting and Writing to Transform Education is both inspirational and practical in content, suggesting an approach to educating children that will be enjoyable to teach and will engage learners in many ways and help them realize their full potential. It is also visually inspirational, richly illustrated in color with examples of student work and the work of artists and teachers, including that of the authors themselves, classroom photos showing children engrossed in their arting-writing projects, and other scenes of Hawaii. Sir Sidney M. Mead is Professor Emeritus at Victoria University of Wellington. Arting and Writing to Transform Education is a provocative educational paradigm for today’s cultural and global context, offering a new vision for a new age. Since the Industrial Age, education has stagnated, changing very little over the past century. Accelerated progression through the Information and Technology Ages has now placed us at the advent of what Daniel Pink, author of A Whole New Mind (Penguin Books, 2005), calls the Conceptual Age. Arting and Writing to Transform Education is a visionary concept for the 21st century that challenges educators to envision and explore broader cultural and educational dimensions at the intersection of the two creative activities of “arting” and writing. In addition, it offers them a deep wellspring from which to draw, from each child’s rich and authentic self, community, and environment. High stakes testing and accountability is rooted in a factory model of transmitting knowledge in which learners are viewed as empty vessels needing to be filled. Imposition of a restrictive band of testable information limits educators to the lowest power of intellectual human capacity. The conceptual theory of Arting and Writing to Transform Education explicates how the depth and breadth of teaching and learning can be enlarged beyond learners being only consumers of knowledge (T1ransmission), to become users of knowledge (T2ransaction), interpreters of knowledge (T3ransmediation), and producers of knowledge (T4ransformation). The activities illustrated help to position teachers, learners, and their families to become agents of social change, as they bring personal relevance to the purpose of education. This work aims to inspire transformation from the child’s deepest levels of being—drawing from inside (from perception, emotion, and thought) to outside (to modes of expression in art and written form). The successful creative and collaborative nature of this project demonstrates the opportunity all educational communities have in bringing culturally diverse voices together to build broader, more sophisticated and relevant processes that will animate the learning and cultural milieus of our school communities and beyond. Educators’ challenge is to offer all an invitation to the educational table and to the richly enlivened conversations that will come from this profound new educational paradigm. Arting and Writing to Transform Education demonstrates how teachers can seamlessly join processes of arting and writing to transform children’s learning of literacy and raise their entire educational experience to a higher power of personal and social relevance. The approach starts from students’ identity rooted in their home culture and relates this to neighborhood, environment, and global culture through a series of projects involving linked phases of writing and arting. It is a highly original book showing successful applications of the approach at schools in Hawaii, where students come from a rich array of ethnically diverse backgrounds. A remarkable example resulted in the publication of a prize-winning book written and illustrated by the children themselves. Given the variety of backgrounds of its learners, Hawaii can be viewed as a microcosm of a global context in which educators from other geographical locations may see and locate themselves and their students, at the same time as they enjoy learning about the approach as illustrated in the Hawaiian context. Manulani Aluli Meyer is Professor of Education at the University of Hawai’i. This book introduces a theoretically motivated and classroom tested, culturally responsive approach to the education of children that teaches them how to see and describe their world – both the natural world around them and their own culture and identity – through linking the media of art and language, considered as parallel creative-expressive processes of arting (representation in visual images) and writing (representation in words). Developed in a collaboration by three Hawaii educators, the curriculum integrates knowledge and practices in literacy and culture, art and science, with a goal of creating a transformative educational experience for every child, building from the students’ home language and culture. Starting from their own personal stories of what it is like growing up outside the cultural mainstream, in Part I the authors present the conceptual background to the work suggesting how the learning of bodies of knowledge and practical skills in school can be raised to a higher level of exploration and personalized learning that leads to a situated and empowered sense of self. Part II shows how arting and writing processes can work together and be mutually reinforcing to produce highly engaged learning, as demonstrated in the authors’ own elementary and middle school classes. Part III provides two extensive multi-lesson units, complete with objectives, lesson plans, and printable exercise sheets given in appendices. Hawaiian ecology and stories about the land offer illustrations of how teachers can integrate learning in students’ home language and culture with mainstream English language and culture. Further lesson material demonstrates how students can explore their own cultural identity as connected to family and place through arting and writing activities. 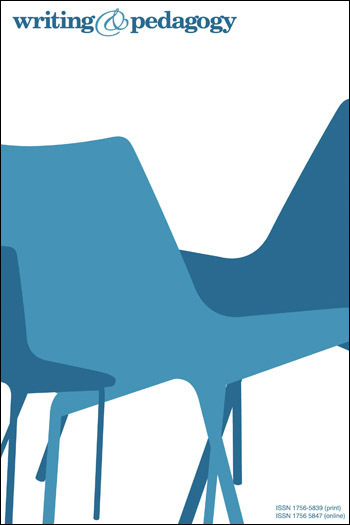 In his Foreword to the book, renowned New Zealand educator Sir Sidney Mead commends the authors for “bringing to the attention of a global audience the creative approach to classroom practice that they have set out in this book,” which is intended to instruct and engage learners at a high level of creativity and expression. 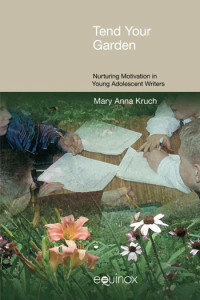 In this way, the authors hope their approach embodies the highest form of education, that which “liberates human potential through transformational teaching and learning experiences.” Arting and Writing to Transform Education is both inspirational and practical in content, suggesting an approach to educating children that will be enjoyable to teach and will engage learners in many ways and help them realize their full potential. It is also visually inspirational, richly illustrated in color with examples of student work and the work of artists and teachers, including that of the authors themselves, classroom photos showing children engrossed in their arting-writing projects, and other scenes of Hawaii. Teaching to the 4th Power, T4, is a transformative educational paradigm with four dimensions which, when multiplied together form a whole – t1ransmission + t2ransaction + t3ransmediation → T4ransformation. These dimensions hold the capacity to exponentially elevate teaching and learning experiences, creating the potential for transformation that empowers learners to become agents of social change. A new understanding of culture as a nested interrelationship framed as Home, Host/Indigenous, Local, and Global cultures is introduced. This idea of cultures envisions an educational center that is not dominated by any one group and where all are asked to participate. Culture forms the foundation of T4 teaching and learning. “Arting” is a verb, a process much like writing. Artists and writers move through similar stages when creating. Traditionally, visual arts and writing have been taught as stand-alone subjects, when in fact their greatest relevance is their complementary capacity to intersect one another, creating a dance between the two art forms. Prearting and prewriting are the initial stages of the arting and writing processes in which ideas are generated, researched, and explored. Prearting is more commonly known as “frontloading” in the visual arts. Envisioning is the stage in which the artist and writer explore possible directions a work may take, imagining the end result. Artists experiment with form or media. Writers try out form or genre. In this stage experimentation is encouraged. There is no such thing as a mistake and infinite possibilities are invited. Composing is the stage in which the artist begins the work: drawing, painting, sculpting. The writer writes. This stage of the writing process is also commonly known as drafting. Conferring and revisioning together comprise the stage in which the artist and writer focus on the logic and message of the work – reseeing, reconsidering, and reworking the piece until it comes together as a whole. Conferring with others guides the artist and writer towards realizing the potential of a work and its impact on an audience. When critiquing and editing, the overall structure and proper mechanics of the work are reviewed, refined, and corrected, first by the artist–writer and then by peers and more experienced others. Meticulous work required during critiquing and editing cleans up and sharpens a piece so that it presents and reads in its most compelling and powerful state. Exhibiting and publishing culminates arting and writing processes to celebrate completion of the work. It is “going public,” sharing work with a larger audience. This curriculum unit is a study, through observation via all of the senses, of a culturally significant plant as a way to learn about the relationship between people, plants, the land, and other living things of a place. In this unit, students explore their own cultural identity as connected to family and place. Students explore the work of master artists and analyze mentor texts in order to envision, compose, and publish their own arting and writing piece focused on the significance of their name and/or where they are from. I support the authors in bringing to the attention of a global audience the creative approach to classroom practice that they have set out in this book. [The authors] are educators in the best sense of the word because they draw forth what is most vibrant and desirable in students/teachers/community – and that is the love of learning. This in turn creates the kind of meaning that transforms and teaches us to know ourselves. Here is the purpose of life, and the point of education that seems to have been misplaced with standardization, uniformity, and the commodification of knowledge.